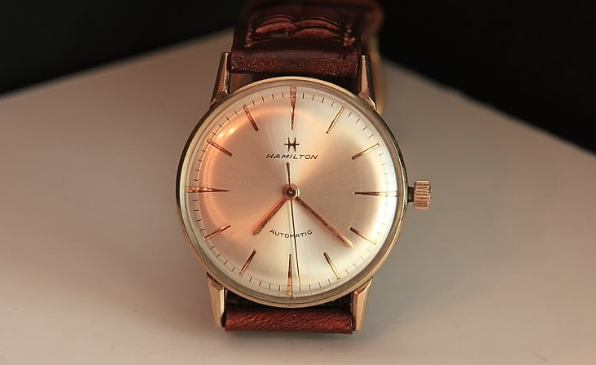 Hamilton had a variety of automatic watch lineups... some were called "Automatics", some "Thin-o-matics", some were called "Accumatics" and when calendar-watches were introduced there was a "Dateline" model line. The first Accumatics were introduced in 1956 and all had roman numerals (I, II, IV, etc). 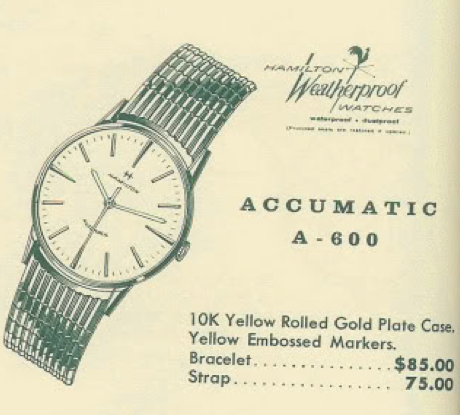 In 1961 the Accumatics started to get numbers and one of the watches was the Accumatic A-600. It was produced for four years (through 1964). The A-600 comes in a Rolled Gold Plate (RGP) case that opens through the crystal. I don't recall what movement is under the hood, probably a Swiss-made Hamilton 689 or 689A would be my guess. I had an opportunity to overhaul another A-600 with it's original bracelet. It had a 689 movement under the dial, as suspected. The 689 has two holes in the rotor carrier to inspect the balance below it. The 689 has a cutaway section to provide more access. There are a few other minor differences too... but that's the most obvious one. With the original bracelet, the A-600 is a sleek-looking watch. Well, I finally got around to servicing my original A-600 pictured above. 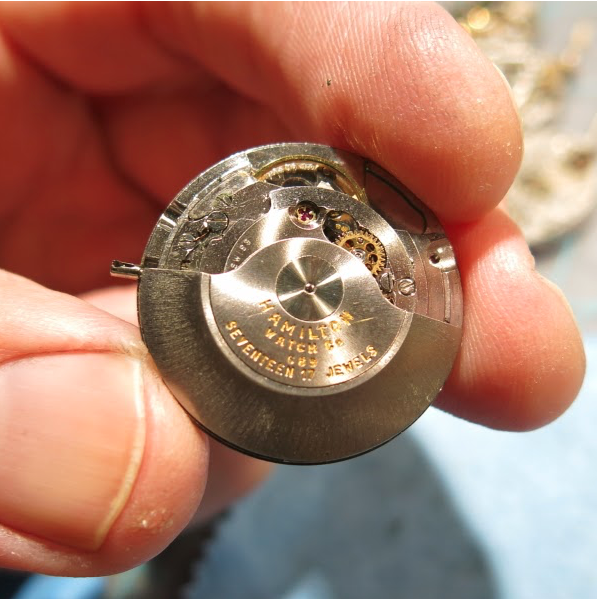 Turns out it has a 17 jewel 679 movement inside. So I guess the A-600 has either a 679 or a 689, depending upon the year it was produced. The 679 is also an ETA movement and looks virtually identical to the 689, which I believe replaced the 679 in the early 1960's.